1. In a medium non-stick frypan over medium-high heat, heat the coconut oil and tofu. Allow to brown. 2. In a small cup, combine the tahini, hummus, tamari and lemon juice. 3. 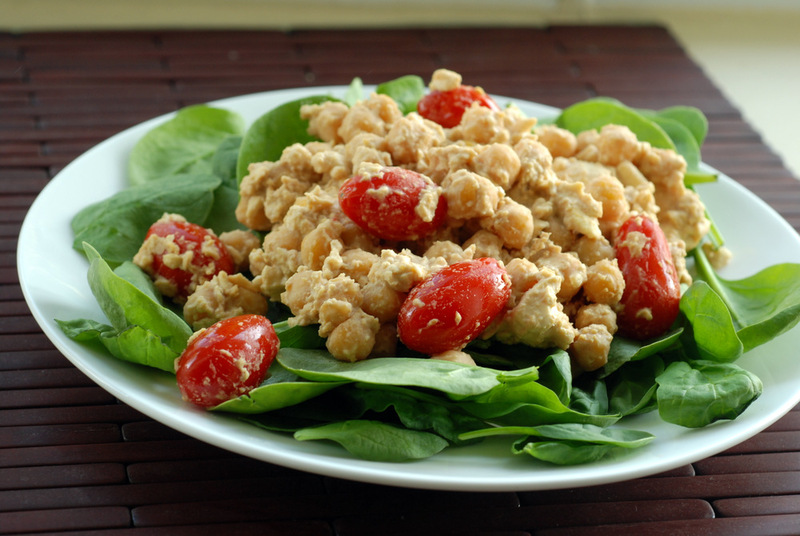 Once the tofu is browned, stir in the chickpeas, cherry tomatoes and drizzle with the sauce. Saute until the mixture is warmed through. Add the spinach to the skillet if you want it wilted, or place the warmed scramble onto raw spinach for a salad. Loved this little review of the Veg Fest! I’m hoping to get down there for a little while after work today. Those milks sounds amazing! Also, this looks fantastic! I would love to have this for breakfast! Looks so awesome! I have yet to try tahini. I am totally on a tahini-kick right now so hopefully you’ll find something inspiring to make the plunge! I didn’t always like tahini, though. Not all brands taste as good! Top brands for tahini, in your opinion? However I restocked with Mr Goudas’ which is good too, but I still prefer Prince! The vegetarian food festival sounds awesome! I’ve never seen a vegan scramble made with both tofu and chickpeas before…but the more proteins the merrier! Janet – thanks so much for coming to our demo. It so nice to have smiles of support in the audience. Your recipe sounds amazing to me this morning – after a busy week the comfort of a tofu scramble with hummus is quite enticing. We could have passed each other at the veg fest on Saturday without me realizing! I wish I had have gone to see some of the speakers, but we were a bit short on time. 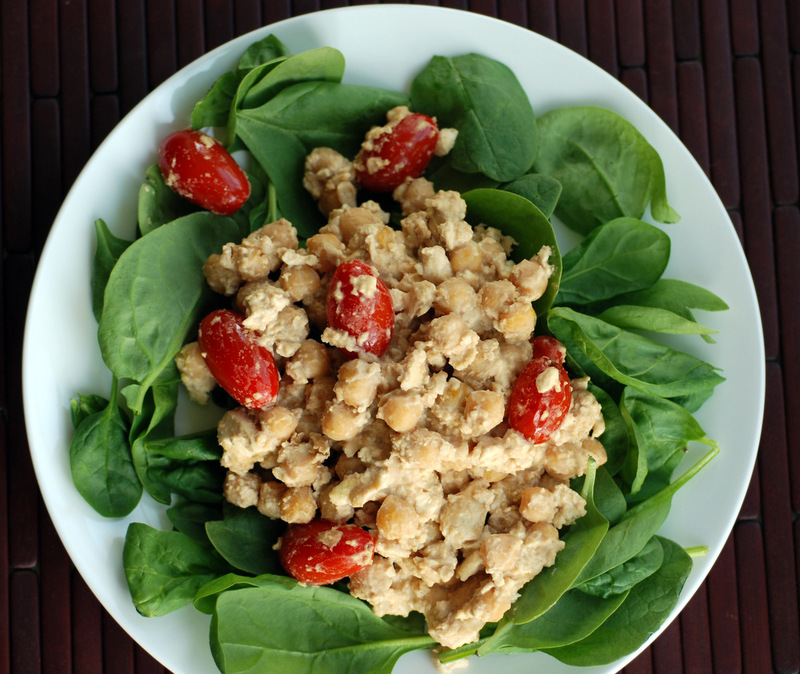 Love the idea of using hummus and chickpeas in this scramble – this would make a great lunch! Thanks Janet for your submission. I am really getting hungry looking at that plate! So fun that you have such a big festival so close by. 😉 This salad looks very satisfying! Thanks for sharing it at Souper Sundays this week.